The importance of having competent, high quality guides, cooks and porters cannot be overstated when it comes to climbing Mount Kilimanjaro. 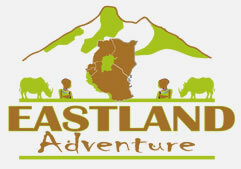 Eastland Adventures uses local guides, all of whom have received extensive training in first aid, mountain rescue, flora and fauna, and Kilimanjaro history. All are registered with Kilimanjaro National Park (KINAPA). Our Kilimanjaro guides are very experienced, with most having climbed more than 100 times! They are professionals who intimately know the mountain. High Safety Standards – Your guide can identify and avoid potential hazards such as slippery trails and loose rocks. Your guide can prevent, recognize and treat altitude-related illnesses. Climbs Knowledge – Kilimanjaro trails are clearly marked, so following a trail should not pose a problem. But there are more intricate things that your guide will take into consideration when deciding when, where, and how to move the party. These things include weather conditions, trail density, rest stops, pace, etc. Mountain Facts – Your guide is knowledgeable about general mountain facts. He can tell you about the climate zones, the altitudes of and distances to campsites, and information about the geology, flora and fauna. These types of facts increase the enjoyment during the trek by giving you an idea of what you are seeing and feeling. Our Kilimanjaro guides understand and aware that customer satisfaction, safe and successful climb is one of our company core values. Our bush chef’s work wonders in tough conditions. Whether in the dusty plains of the Serengeti or the summits of Kilimanjaro, these extremely diligent artists work wonders to provide you with fresh and tasty meals for days on end. Possible the least seen and yet hardest working these fine men cook up a storm. Our guides have support teams of assistant guides, cooks and porters that we have assembled personally. We feel having control of our personnel assignments is the best way to make sure your mountain crew complies with our high standards. Through regular interaction, your mountain crew will perform at its best and offer consistent service trip after trip. We like for things to go smoothly behind the scenes so that our staff can focus on our most important asset – the client. Because of our hardworking porters, all you need to do on your climb is walk. Porters carry the tents, sleeping bags, mattresses, food, water, cookware, gas, stoves, medical supplies, chairs, and tables – not to mention your camping gear. It is a tough job and anyone who has climbed Mount Kilimanjaro will tell you that their strength, skill and stamina are incredible. Also most of our porters they can speak English so we recommend to talk with them, get know them, share stories, singing and dances together for Kilimanjaro songs. All our guides are naturalists with exceptional experience and who know All Tanzania parks intimately, and have an amazing knowledge of the African wilderness and its people. Their appreciation of the diverse cultures of the world, and the needs of their guests allows them to deliver the ultimate safari.